This weekend consisted of ring shopping, wedding planning and lounging. While shopping for our ring bands, I picked my band out in about 2 minutes (literally). It took Ty a little longer. After trying on about 20 different rings, the only thing Ty had to say was, "Why are all my wedding bands $1000 less than your band? "....I told him those are the perks of being a girl. Then we came home, made some coffee and cozied up on the couch to do some serious wedding planning. We have gone back and forth as to what we want to do for weeks now. 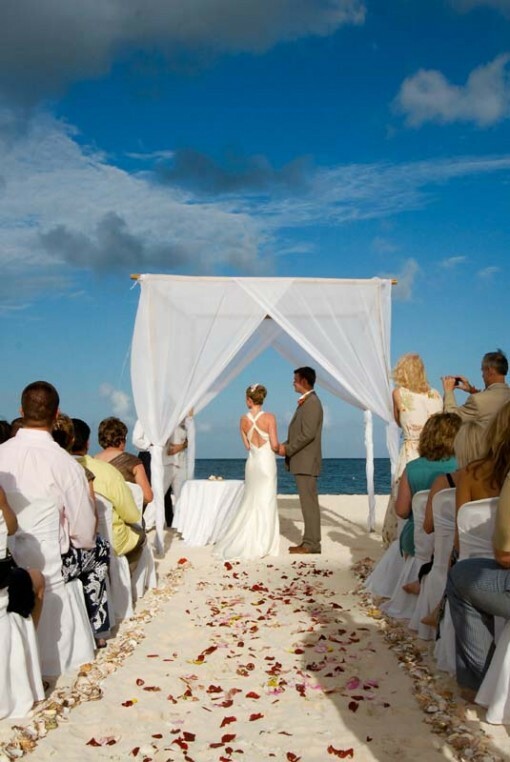 Our options are: a traditional wedding or a destination wedding. I change my mind every other day. It doesn't help that Ty is more indecisive than I am. I had a pretty definite plan that I wanted to run away with closest friends and family to marry in the Caribbean. Ty thought it was a good idea and was all for it, as well. I researched and found the perfect wedding destination. It was even rated one of the top 20 most romantic honey-moon destinations. I had it all planned out and was getting excited to start making arrangements....Credit card in hand. That was, until I found out there are no children allowed on the resort....not even for the wedding ceremony. (Heart break) What a let down. My daughter and niece will be attending my wedding regardless. So, we are back to the drawing board. Here Ty and I sit with an empty pad of paper and two empty coffee mugs. Time for a refill...I still hope to keep our honeymoon at this resort but where to get married??? The fact that we don't know 100% where we will be residing, during our wedding, also dampens the decision making. So many questions to answer! If we go with a traditional wedding, and we end up moving to the West Coast, will we have the wedding there and fly everyone to see us? Or will we come back home so everyone can attend? And what if we stay in New England? Should we have a wedding in New England or do it destination style? Weddings take a lot of time to plan and I need to start now if I want to book halls or perhaps, resorts. The only thing we have decided on, for sure, is the wedding month. We will marry: June of 2013. Although both wedding ideas have their perks, we are trying to plan the most rational and less stressful way. I'm hoping to get a better idea of where we will be within the next month or so. But the decision making was really laying heavy on me. Ty came to my rescue and told me to go ahead and hire a Destination Wedding Planner. They only require a reasonable deposit so if we decide not to go with a Destination wedding, we can cancel easily. I'm excited to speak with her this week and get some good ideas! Not to mention, all the stress I'm eliminating by not having to worry about all the details as far as guest flights, reservations, nuptial agreements, passports, and ceremony details. So that was the consistency of our day. Oh, and some play time with our cute little Peanut Baby, of course!